My seven-year-old son has been studying recycling and sustainability in his second grade classroom. Here's an astonishing fact he shared with me, every piece of plastic that was ever made is still on Earth. I thought about that and came to realize that whether recycled into another product or filling up landfills as trash, this is a sad but true fact! Did you know that it has been estimated that most women, lie myself will menstruate for more than 2,500 days during her lifetime? Now, consider this, we will also use approximately 11,000 tampons or disposable pads which create additional expense and tons and tons of surplus waste disposed of in our overflowing landfills throughout the planet. 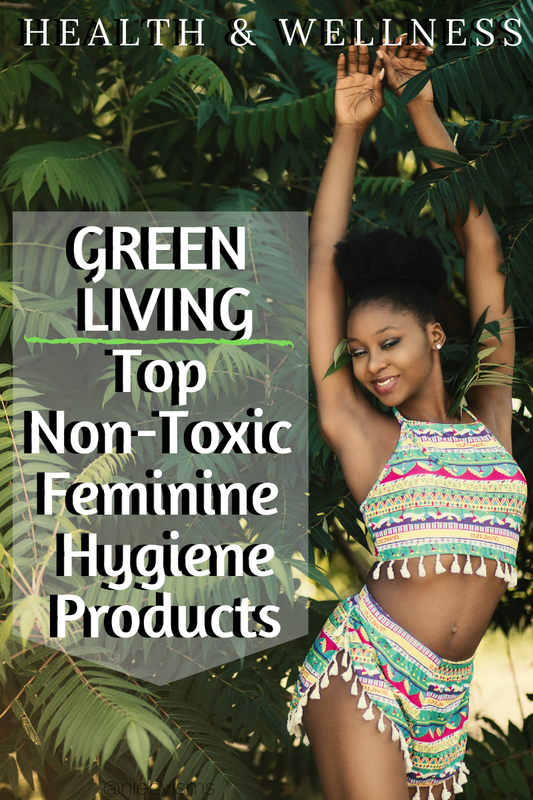 Try these green living tips for non-toxic feminine hygiene products. Thank you to Pink Lemonade Shop for the courtesy of providing gratuitous promotional product for editorial content purposes. Green living and a sustainable lifestyle are important to me. I continually challenge myself to discover how I can take action to reduce my environmental footprint. Well, here's a tip to start with, I've done a little research about the benefits of replacing disposable pads with reusable menstrual pads. Addressing a distinct need, reusable cloth menstruation pads are non-toxic, eco-friendly protection, available in an array of fabrics, shapes, sizes, and designs with light liners to heavy flow, even postpartum absorbent lining. Pink Lemonade Shop is a small business dedicated to "offer luxuriously soft cloth menstrual pads, cloth pantyliners, reusable menstrual cups, nursing pads, accessories and so much more." Creatively designed, these reusable pads are sensitive against our bodies, made from absorbent, non-toxic breathable organic bamboo jersey, velour, and fleece, cotton velour and woven, minky, raw silk, and WindPro Fleece and Felted Wool Interlock water-resistant barrier layer fabric for menstruation needs from beginner to postpartum cloth menstrual pads. Replacing disposable feminine hygiene products with reusable cloth pads or menstrual cups and an eco-friendly wetbags for storage are an environmental and financial investment in your future, saving the planet while also saving you money. 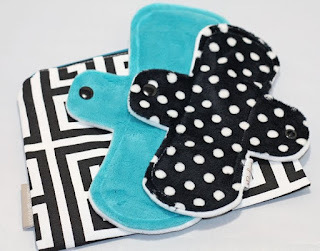 I'm sharing this tip because making the switch to using PLS reusable cloth pads requires little to no preparation, once deciding upon the most effective pad for your needs. Similar to traditional disposable products, cloth pads are secured in place by wings with snap closures. 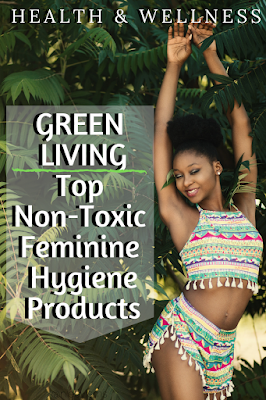 Understanding the variations in feminine hygiene needs, be prepared to find reusable cloth pads in an assortment of options fitting for all needs. Washing and caring for your cloth pads is super easy. If you're interested in making the switch from disposable pads to reusable cloth pads then washing should not be a deterrence. Cloth pads are durable and easy to care for. Cloth pad washing is so simple in fact, that we have a hard time even creating a whole page post dedicated solely to the topic! If you're outside your home then soiled cloth pads should be stored in your wetbag until you return. You can read more about 'How to Use Cloth Pads in a Public Restroom' here. If using cloth pads while outside of your home, remove your soiled cloth pads from your wetbag when you return and rinse them with cold water. Wring them out and toss into your laundry basket or back inside your wetbag or cloth pad storage bag until washing day. Cloth pads can be washed in cool or warm temperature water and tumble dried in your dryer. Cloth pads can be washed alone, with your regular clothing laundry or with your bathroom towels if you prefer. I'll give you another tip, look to Pink Lemonade Shop also offering a supply of menstrual cups which are durable, easy-to-care for environmentally-friendly options in place of or in addition to using reusable cloth menstrual pads.